To (1) estimate the proportion of people in the community who could correctly recognize autism spectrum disorders (ASD); (2) describe the attitudes towards various treatments for ASD; and (3) identify factors associated with ASD recognition. A population-based cross-sectional survey was conducted in Harbin, China (n = 4,947). We estimated the proportions of participants who were at different levels of knowledge about ASD and of their attitudes towards mental health service use. Multivariate logistic regression modeling was used to identify factors associated with the recognition of ASD. Overall, 2,786 (57.8%) of the respondents could recognize the ASD. Recognition of autism depended on gender, residing areas, age and educational levels. With respect to the attitudes towards mental health service use for ASD, 4,007 respondents (84.6%) chose to visit a health organization for treatment; 2,470 (68.2%) made the choice of consulting a psychotherapist. There is a large room for improvement in awareness about ASD and treatment in the Chinese communities. 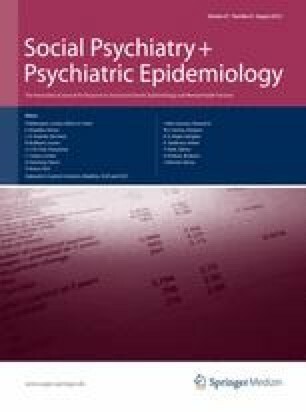 Insufficient knowledge about ASD and inappropriate attitudes towards mental health service use may impede the efforts of early identification and intervention. Health education and promotion are needed to improve people’s knowledge about ASD and available mental health services. We thank the Harbin Women and Children’s Hospital and Health Institute as well as all the collaborating institutions. We also thank all of the people who participated in the study. Have you heard of Autism? What are the symptoms of the Autism? Do you think that Autism is a rare disease? (A) Yes, (B) No, (C) Don’t Know. What do you think about the severity of Autism? (A) From mild to severe, (B) Usually mild, (C) Usually severe, (D) Do not know. What do you think about the IQ levels of the Autistic children? (A) High, (B) Low, (C) Normal, (D) All mentioned above, (E) Do not know. Do you think that the onset of Autism is only in childhood? Do you think that Autistic children always have special talent? Do you think that Autism is associated with the economic status and educational level of the parents of children? What are you going to do if you find out your kids can not speak and make eye contact with you by 2 years old? (E) Do not know what to do. If you select to go to consult someone else, which specialist would you like to consult for diagnostic evaluation? (G) Other health professionals, (H) Do not know.